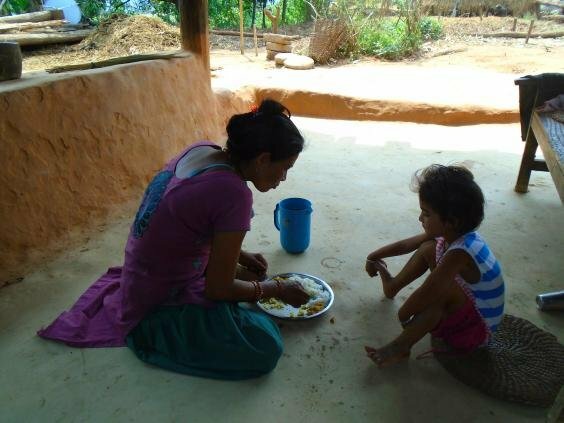 What is it like to have your period in Nepal? Very restricting. Nepalese girls post pictures of things they aren't allowed to touch during their period. What are the things you avoid when you get your period? White pants? Uncomfortable clothes? Getting out of bed in general because you know you’ll have to smile through the pain of your cramps around the general population? If you nodded along to all of the above, then take a moment and spare a though for young women living in Nepal. Every month, these girls are separated from their friends and family and have to follow a strict set of rules while they are menstruating. Because in Nepal, girls are considered to be ‘contaminated’ and ‘impure’ while they are on their periods. You can watch the ten ‘most awkward’ period dramas from WaterAid below. The video was made to create awareness for International Menstrual Hygiene Day which was on May 28th. Post continues after video. During this time, a western-Nepalese hindu tradition called Chhaupadi, they aren’t allowed to touch fruit or flowers, stay in their homes or even look at the sun. They cannot eat fruit, dairy, meat or produce for fear of contamination and they aren’t allowed to have any interaction with their family for 6-10 days. 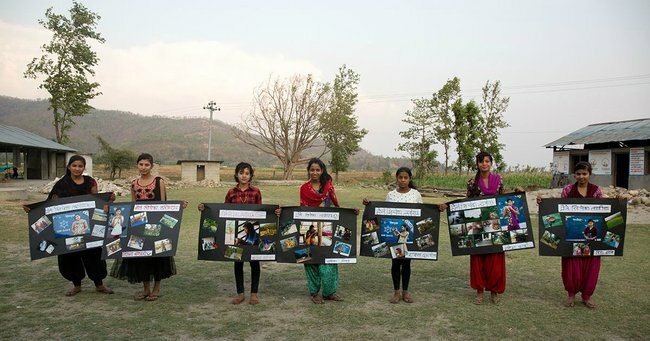 Yet, seven teenage girls from a small town 130 kilometres southeast of Kathmandu have decided to fight back, by documenting all the things they aren’t allowed to do. You can see all the images of the things the girls can’t do in the gallery below. Post continues after gallery. 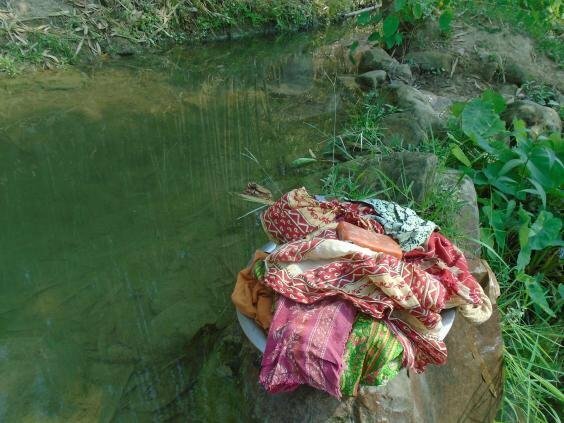 Bisheshta Bhandari, 15: "The place featured in the picture is the place where I used to wash myself during my first menstruation. My sister Shristi is washing her face in this picture. When I had my first menstruation, I stayed at another&apos;s house, as we were not allowed to stay in our own house. The house where I stayed during my first menstruation is 15 minutes away from my own house. We teenage girls are more secure with our own parents, be it during menstruation or not. 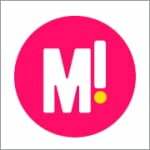 Moreover during menstruation, we need extra care and support from our parents. When we have to stay out of home in some other house for seven days, we may not be secure. Therefore any adolescent girls need to stay with their parents to be safe and secure. "Image supplied by WorldAid. 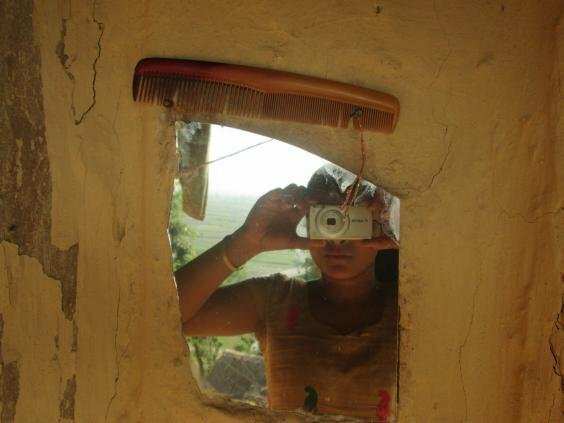 Sushma Diyali,15: "This is the picture of mirror and comb that I use at my house. In our society, when girls experience their first menstruation we are not allowed to look into mirrors or comb our hair.Me and my family do not follow such practice. I think mirrors and combs are the means of cleanliness and as a human it’s very important that you should stay clean and healthy. Only if my friends just like me could grow in an environment where are no limitations regarding menstruation and receive more support from the families, they can set themselves free and explore greater potential and opportunities around them is what I think. "Image supplied by WorldAid. Sushma Diyali,15,: "This is the girl’s toilet of our school. We are in urgent need of MHM friendly toilet. The one we use doesn’t lock properly. If someone is inside, other person has to wait outside pushing the door for her. Because of lack of latrines in our school, we have to wait in the long line. This is very problematic for us and we are need of more girls’ friendly latrines. "Image supplied by WorldAid. Manisha Karki, 15: "This is the picture of the stream where I bath and clean my pads. In this picture there is a stack of pads that I use and I clicked this picture sometime before I started washing them. During our menstrual cycle it’s very embarrassing for us to wash our used pads out in the public place hence, we find nearest corners and isolated streams to clean our pads and wash ourselves. "Image supplied by WorldAid. Rabina Budhathoki, 15: "I had gone to collect grass and firewood when I had my first menstruation. I clicked this picture to recollect that particular memory of mine. I never knew menstruation was about bleeding. So, when I started bleeding for the first time I got very scared and terrified. There was no one to help me out, I didn’t know how to use pads and I had hard time coping up with the changes I had within me. That’s why I try to help younger girls who seem as confused as me when I had my first menstruation. I tell them to focus on cleanliness and hygiene"Image supplied by WorldAid. Bandana Khadka,15: "This is the scene I wake up to every morning when I face towards the eastern side. 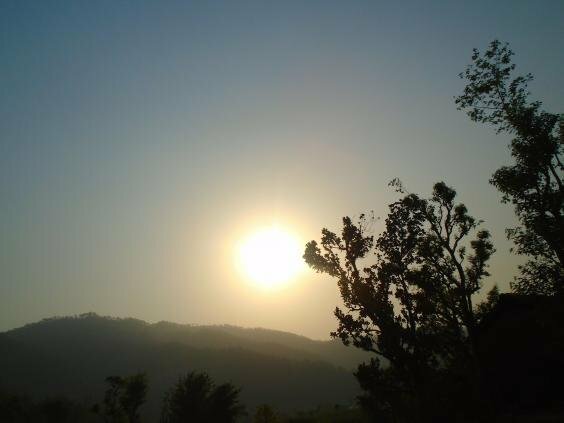 This picture reflects the hills and peaks along with the beautiful sunrise that is visible from my home. It feels really good to get soaked in the morning sun. When I had my first menstruation, I was not allowed to look into the sun directly. But regardless of that I still looked at it and nothing happened to me. While studying our teacher taught us that there is something called sunshine vitamin which is vitamin-D and we get that from sun rays. After I got to know that, I realized we shouldn’t be kept locked inside our rooms during our first menstruation. "Image supplied by WorldAid. 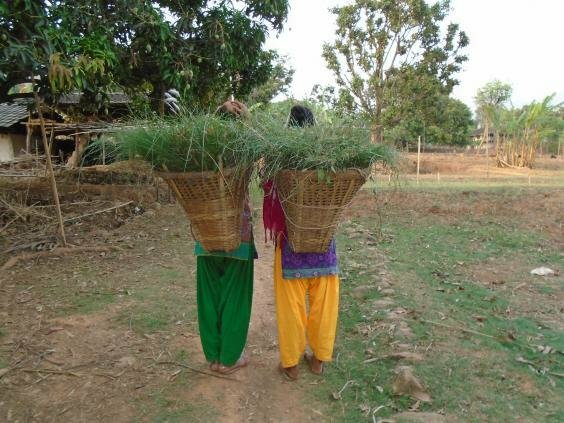 Bandana Khadka, 15: "This is my mother and sister in the picture. Here, my mother is feeding my sister with so much of love. Mother loves me very much as well. However, during my menstruation cycle I am kept separately and have to eat at distance. When nobody touches me, I feel unloved. We need lots of love and support during our menstruation but, when I am separated and treated like an untouchable I feel no love from my mother and father and I feel only hatred. I feel sad being treated that way. "Image supplied by WorldAid. nepal girls 8Image supplied by WorldAid. 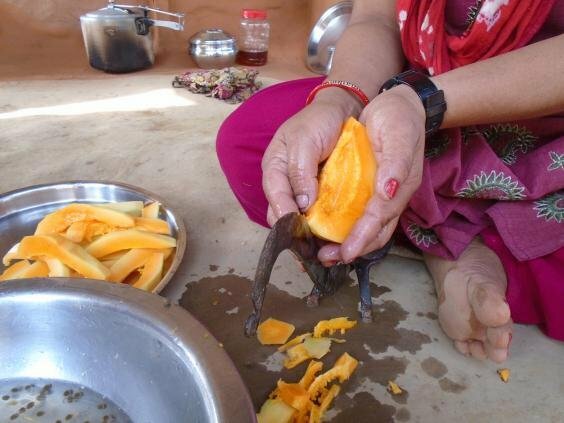 Sabina Gautam,15: In this photo my mom is cutting papaya. In our community, there is a belief that during menstruation we should not eat papaya but I like papaya very much. Even if I want I cannot eat papaya during my periods. Papaya is a nutritious fruit. During menstruation, we are told not only not to eat papaya but also we are told not to touch papaya tree is a common belief. Actually during menstruation, the adolescent girls should eat even more fruits and vegetable to keep the body strong and healthyImage supplied by WorldAid. The restriction on what the women are allowed to touch comes from the notion that whatever they touch while ‘impure’ will be tainted with bad luck. “I stayed at someone else’s house during my first period. I wasn’t allowed to go to school and, on top of that, I wasn’t allowed to even read a book. It was a wrong belief that we shouldn’t study during menstruation,” 14-year-old Manisha told The Independent. “The silence and stigma that surround menstruation impinges on girls’ everyday lives," WaterAid, who provided the girls with cameras to document their experience, CEO Barbara Frost said. It&apos;s a hard situation to imagine, being away from your family for a third of the year with so many restrictions. Yet, it&apos;s a sad reality for thousands of young women. You can cheack out all of WaterAid&apos;s fantastic work here, and follow them on Facebook and Twitter.